New Jersey is the latest state to offer clarity on an employer's obligations to accommodate its employees' medical marijuana use. In Cotto v. Ardagh Glass Packaging, New Jersey's Federal District Court held that neither the New Jersey Law Against Discrimination ("NJLAD") nor the New Jersey Compassionate Use Medical Marijuana Act ("CUMMA") requires an employer to waive a drug test as a condition of employment for an employee who uses medical marijuana. Cotto disclosed his use of medical marijuana to treat a neck and back injury to his prospective employer before he was hired. In addition, he provided a doctor’s note stating that he could operate machinery (one of the essential functions of his employment) while under the influence of his prescribed medications. Cotto got the job, and subsequently suffered a workplace injury. In order to return to work, the employer required him to pass a breathalyzer and urine test. Cotto disclosed that he would be unable to pass a drug test, and the suspended him indefinitely. Cotto then sued for violation of NJLAD and CUMMA. The employer moved to dismiss the action for failure to state a claim, arguing it was not obligated to accommodate its employee's use of a substance that is illegal under federal law. The Court ultimately agreed with the employer and dismissed the Complaint. It found that while Cotto adequately pleaded he was disabled under NJLAD, he could not show that the employer suspended him because of his disability. Rather, all he could show was that the employer suspended him because of the mechanism by which he treated his disability. While the Court acknowledged that in some instances, undue prejudice toward a treatment for a disability, such as the use of a wheelchair, could be considered discrimination against the disability itself, that was not the case here since the employer was aware of its employee's disability for years without consequence. It only took issue with plaintiff's inability to pass a drug test, not his disability itself. The Court further held that the CUMMA did not provide any workplace protections, since the Act was only intended to decriminalize and remove the threat of civil sanctions to medical marijuana users in New Jersey. The Court's analysis provides some clarity on the application of NJLAD and CUMMA, but as the Court acknowledged, the decision is narrow: it only addresses the issue set forth in the Complaint as to whether the employer could be compelled to waive its requirement that plaintiff pass a drug test. 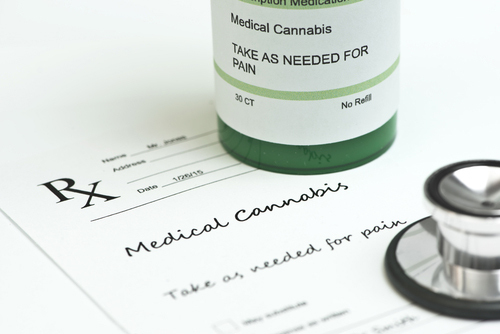 There may be other situations where an employee's treatment of his or her disability through the use of medical marijuana was inextricably tied to their disability itself, such that some accommodation would be required. This may be the case if the employee's use of medical marijuana is restricted to off hours and does not impact the employee's ability to perform essential functions of their job. As this is an area of law that is continuously changing, it is important to consult with your regular Hinshaw attorney with any questions or concerns regarding an employer's duty to provide accommodation to employees who are medical marijuana patients.